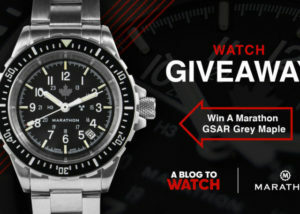 The eBay Luxury Watch auction (click to visit) is going on right now and will run through Sunday, April 7th. 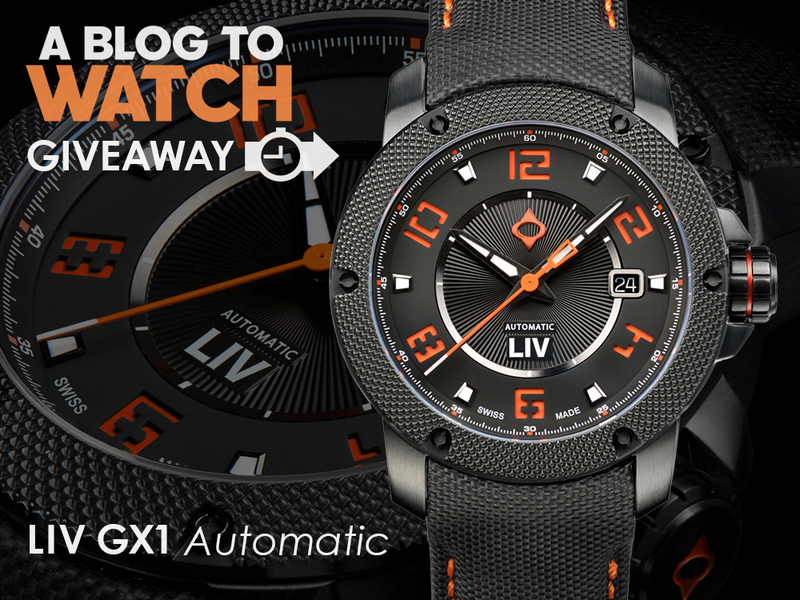 There are some great watches from brands like Rolex, Patek Philippe, Audemars Piguet, Vacheron Constantin, IWC, TAG Heuer, Breitling, and more. This auction runs the gamut from relatively affordable watches to some of the most in-demand and hard-to-find pieces sought by collectors. 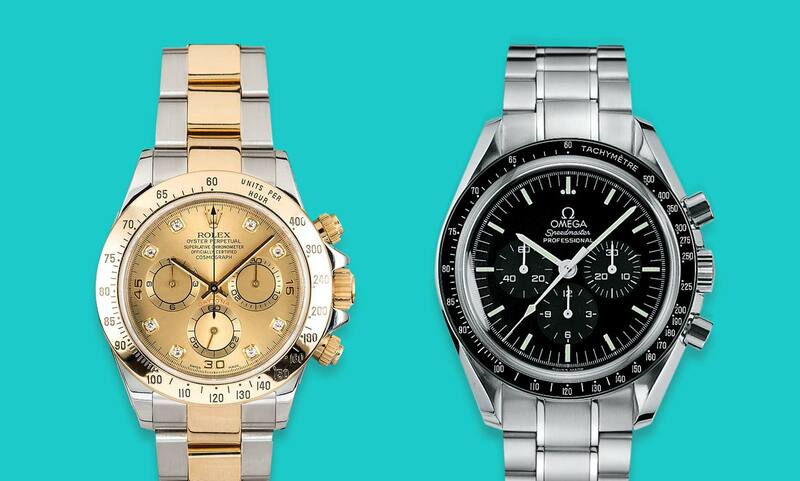 eBay has only sourced watches from the most trusted sellers, and purchases made are authenticated and secured with eBay’s money-back guarantee for peace of mind. There are some vintage finds here, including a vintage Breitling Chronograph and this Rolex Brevet Turnograph, as well as modern watches that are no longer made by the brands, like this 36mm IWC Pilot’s Watch. 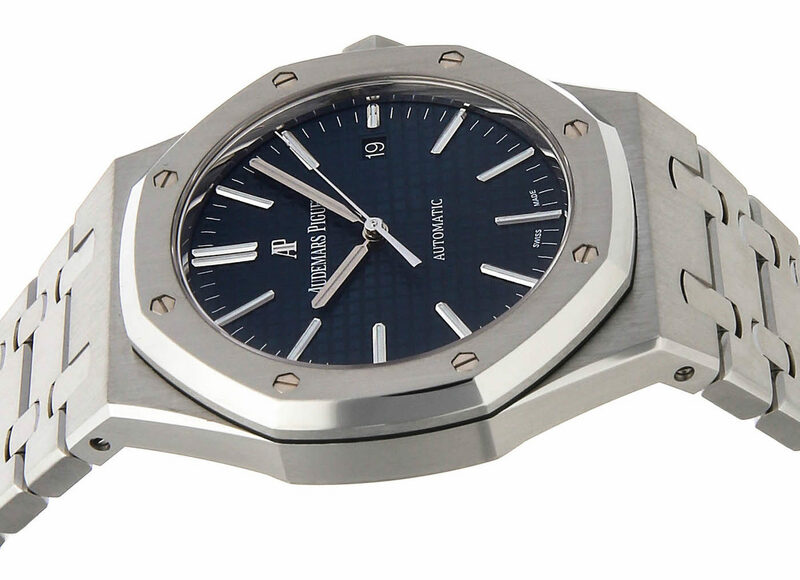 Since we can’t highlight all the watches in this auction, we’ve chosen three that are standouts from Patek Philippe, Rolex, and Audemars Piguet. This Patek Philippe Nautilus is no longer in production and is notable for several “firsts.” This reference was the first Nautilus available in a 37.5mm case, the first Nautilus to have a central seconds hand, and the first Nautilus to use an in-house Patek Philippe movement. It also has the iconic Nautilus case, integrated bracelet, and “ears” on the case. The ref. 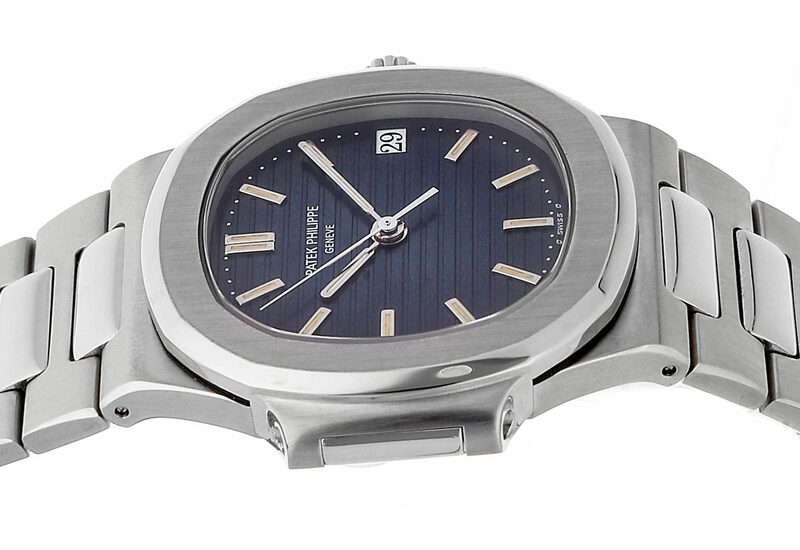 3800 was the first evolution of the Gerald Genta-designed Nautilus, and the 3800/1A has the blue dial with horizontal stripes that has become such an aesthetic staple of the Nautilus, as we know it. 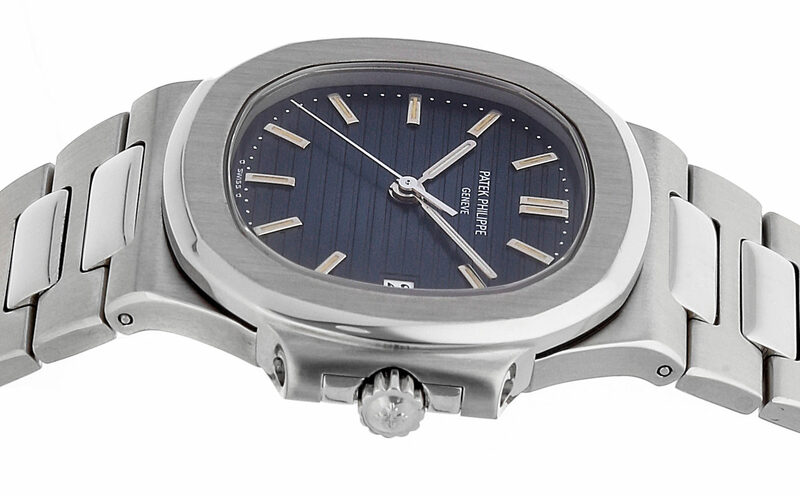 The case size, list of firsts, and scarcity of the Patek Philippe Nautilus 3800/1A immediately makes this watch a standout for the eBay auction. 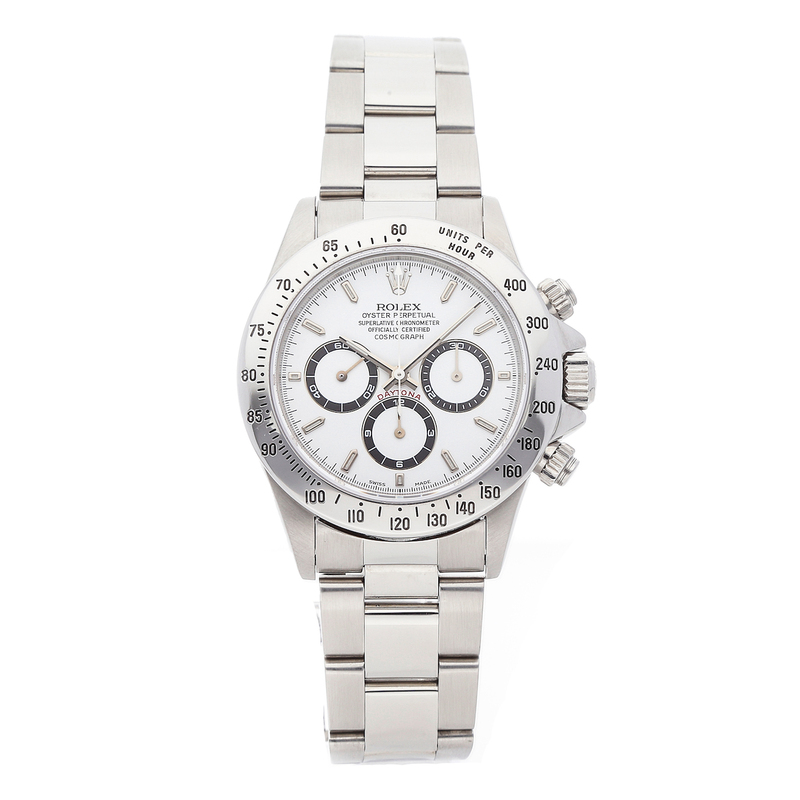 The Rolex Daytona doesn’t need much of an introduction, and we have a ref. 16520 available in the auction. 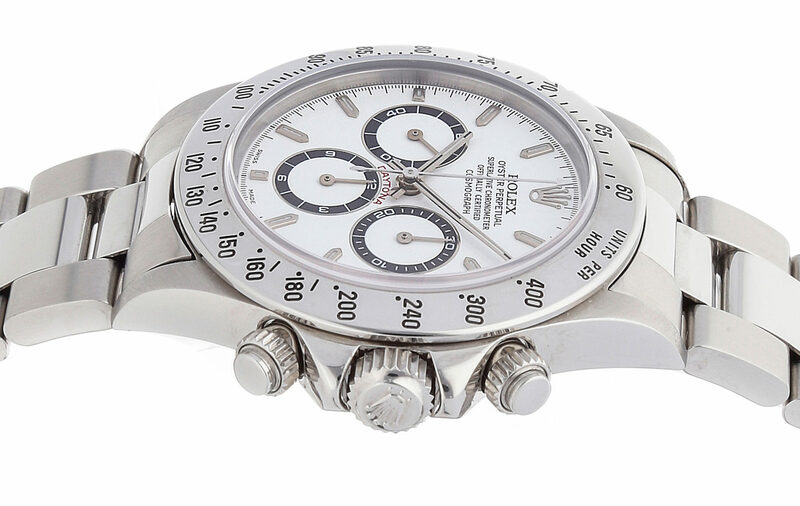 Rolex made significant updates to the Daytona when the ref. 16500 line (which includes the 16520) was introduced, such as the larger 40mm case, sapphire crystal, applied hour markers and, of course, the caliber 4030 movement, which was the result of Rolex’s collaboration with Zenith to modify the legendary El Primero movement to Rolex standards. This reference was produced for about a decade, and versions in stainless steel (as opposed to precious metals like gold) are a relatively hard-to-find subset of a watch that is already produced in limited numbers. 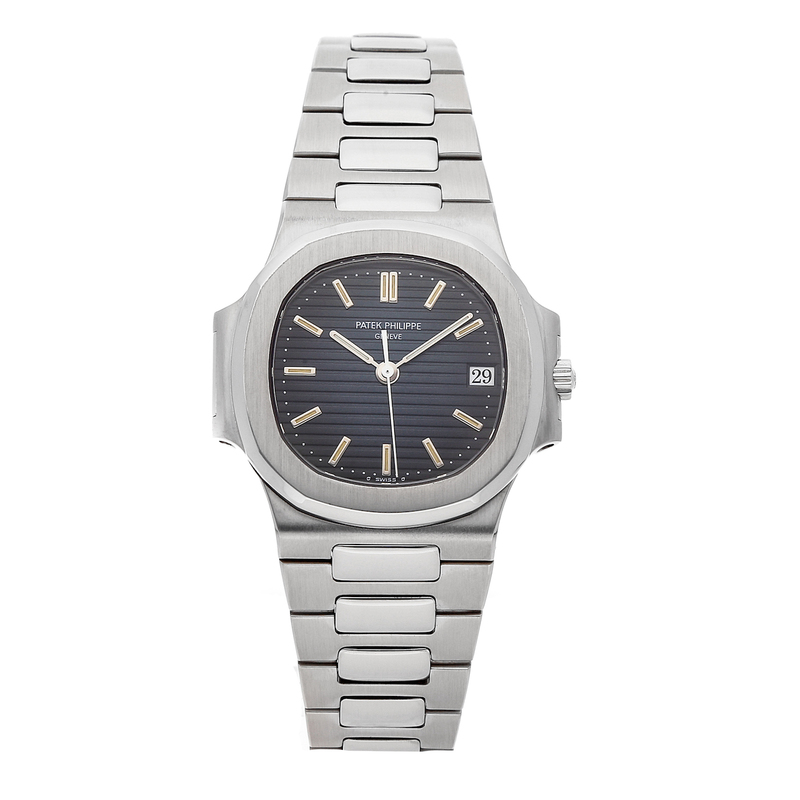 Interestingly, demand for the 16500 went up as soon as Rolex debuted a model with an in-house movement in 2000. 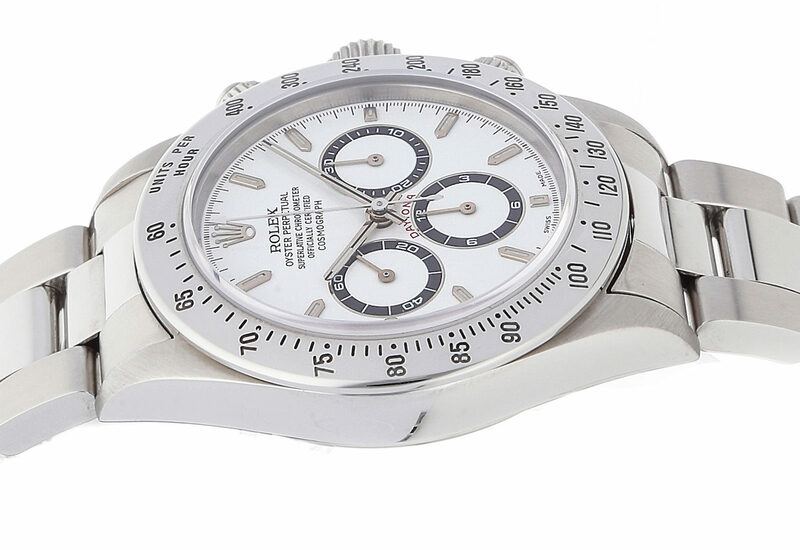 We’re now 19 years removed from the last Daytonas was produced and are proud to offer one with a white dial in this auction. 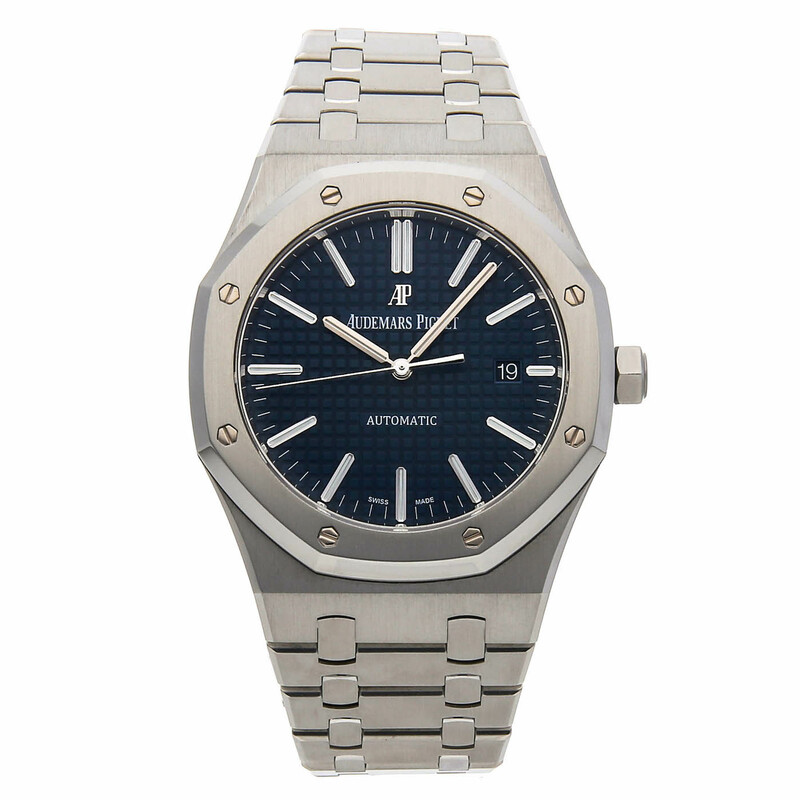 This is the classic Audemars Piguet Royal Oak watch. In steel and sized at 41mm, with the recognizable blue “Grande Tapisserie” dial, this rounds up our trio of watch picks from the auction by eBay. 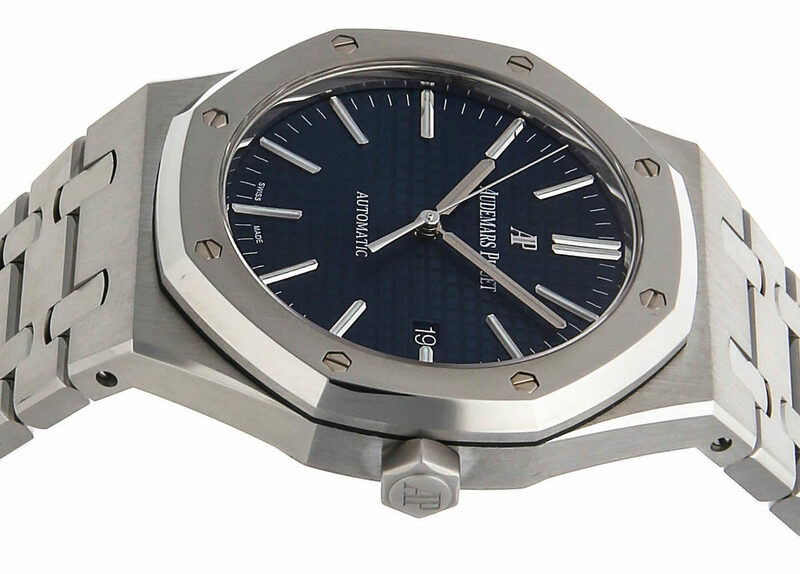 It is the Gerald Genta-designed steel sports watch that started it all back in the 1970s. This is a modern reference outfitted with the caliber 3120 movement that is visible through the exhibition case back. Measuring 41mm-wide and under 10mm-thick, this reference is likely the first image that comes to mind when one thinks of the Audemars Piguet Royal Oak. Again, the auction runs through April 7, and you can check out all the luxury watches being auctioned here. Just a heads up. The Y series 16713 GMT Root Beer up for sale appears to have a dial issue that isn’t listed in the auction. That tritium dial wasn’t offered on Y series GMT models. Maybe an incorrect replacement service dial ?